I know that many cardsmiths are excellent at producing fascinating and powerful abilities. But sometimes we need to understand what not rares look like. Challenge yourself to make a card that has to be as cool/flavourful/creative as possible, while being common quality! Winners judged by the end of december, prizes are a follows. honorable mentions get their mentioned entry favourited. As many submissions as you like, new cards. I like the ability but that card is almost as good as counter spell which is a really good spell, maybe 1 mana to counter the counter. 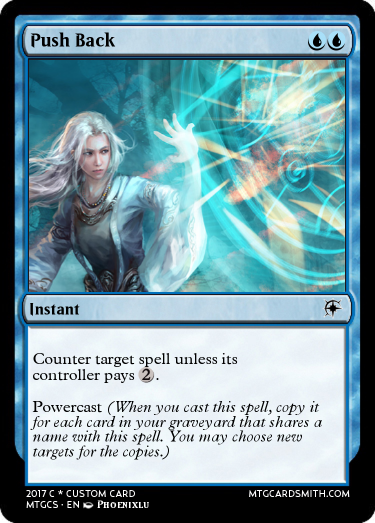 But it cannot be better than Counterspell. 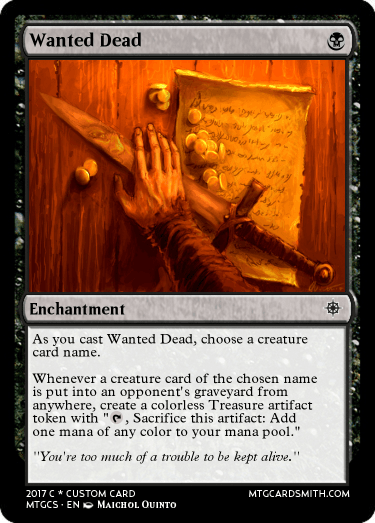 Your idea would make the card way weaker than Mana Leak. @DoctorFro I agree with @Teacup. In most cases, her card will just be a weak mana leak. Especially when you cast the first one. @DoctorFro Cards such as Censor, Daze and Forcespike would also all be straight upgrades to Push Back if you only paid 1 to cancel it. Without a second ability or effect, the higher cancel cost is a necessity. Pretty obviously, these are made for a multiplayer format. This one may be a little OP, probably need to tweak the ability a little. 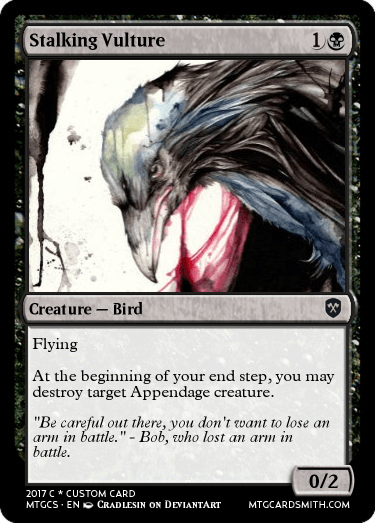 https://mtgcardsmith.com/view/salvage-the-void Would probably be cool in Dredge or Madness, I think. Does it seem balanced? Salvage the Void isn't a good common regardless of whether or not it's balanced. Commons need to be simple in design as per New World Order guidelines. 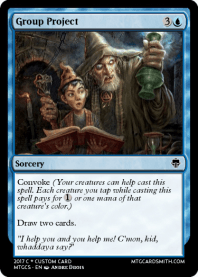 Complicated cards scare off new players and easily understood cards bring them in. 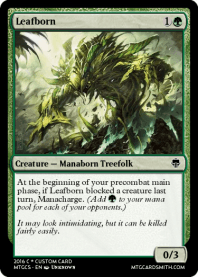 Commons are much more available to and easily seen by new players so they must be kept simple to help foster a constant, healthy influx of new MtG initiates. Meanwhile Salvage the Void makes me, a veteran of 7 years, want to throw it out a window two lines of text in. It is not a salvageable common. A good, memorable common is incredibly difficult to make and that's fine. 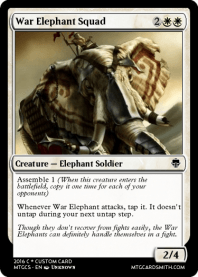 Commons make up a great majority of Magic and most will be forgotten a few sets after their release. Don't try so hard to make one; the simpler the better, really. Edit: Also, sorry for the rant, but I kind of have a passion for commons. This thread is why I'm in the forums for the first time in months in the first place. Edit 2: Because I commented, I might as well make and enter a card. 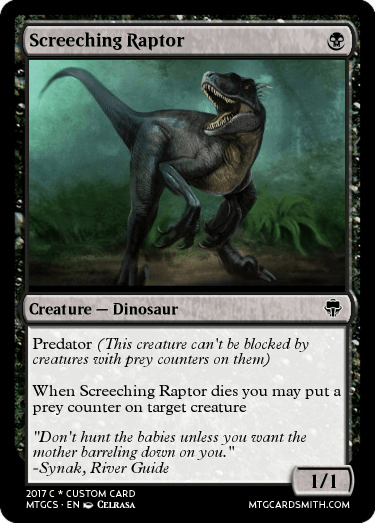 That's fine, I made this card before I knew about this thread, so I mainly wanted to know if it should be common. I thought it should, because it kind of requires you to run 4 of it to use it properly. I'll change it to Uncommon sometime, thanks for the feedback. 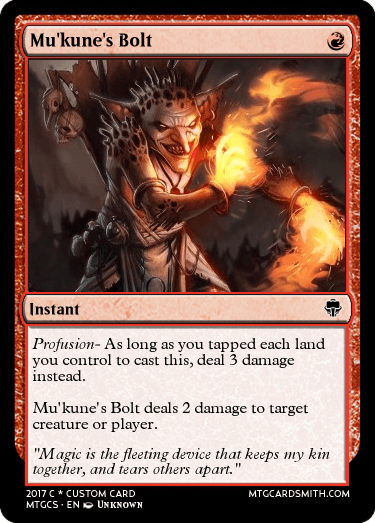 something to replace lightning bolt.